When it comes to Cannabidiol [CBD], there is a lot of confusion about what it is, its uses, and even how it affects the body. CBD (cannabidiol), a compound found in hemp or marijuana plants has been confirmed to affect the endocannabinoid system in reducing pain and treat a variety of other symptoms and health problems. Although still illegal in many parts of the world, the plant has been confirmed via preclinical and clinical studies to have a number of beneficial pharmacological effects since it can act as an anti-inflammatory, antiemetic, antipsychotic and anxiolytic. Cannabidiol [CBD] is a compound found in cannabis that belongs to a class of ingredients called cannabinoids. CBD is the primary non-intoxicating component of Cannabis sativa. In 2018, the country’s Food and Drug Administration [FDA] approved the prescription use of Epidiolex, a purified form of CBD oil, for treating epilepsy. Many people wonder whether CBD and marijuana are the same, and this is because there’s a compound in cannabis called delta-tetrahydrocannabinol [THC] which is also the active ingredient in marijuana. Marijuana contains both the CBD and THC and these compounds have different effects. The THC compound makes you “high” when you consume it. But with CBD, it is different. It is not intoxicating and generally has only mild and relaxing effects on the state of mind of the user. Many people find these relaxing effects helpful for reducing anxiety and increasing their well being. Every cannabinoid produces effects in the brain and body by interacting either directly (in the case of THC) or indirectly (in the case of CBD) with specific receptors. The human body also produces certain types of cannabinoids on its own called endocannabinoids (endogenous cannabinoids). It has two main receptors for cannabinoids known as CB1 receptors and CB2 receptors. CB1 receptors are present in all parts of the body but are mostly in the brain. Those CB1 that are present in the brain are responsible for coordination and movement, emotions, pain, and mood, appetite memories, etc. On the other hand, the CB2 receptors are found mainly in the immune system, and they affect inflammation and pain. The variety of CBD oil benefits for health problems and disorders are partially backed up by science. More research is still desperately needed to better understand the potential uses of CBD. 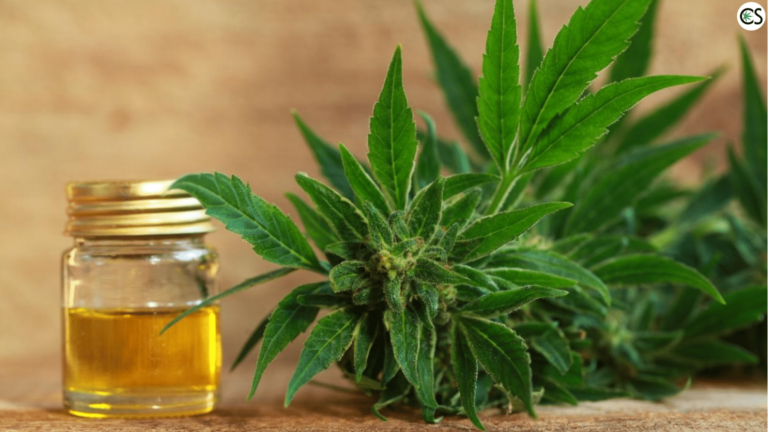 According to research about CBD oil, there are several diseases such as epilepsy, movement disorders, Tourette’s syndrome and multiple sclerosis, that have being treated with CBD oil and proven to be beneficial. Moreover, uses of CBD has powerful properties of treating anxiety disorders, insomnia, Parkinson’s disease, chronic pain, psychological conditions, cancer symptoms, depression, and inflammation. One of the most common benefits of CBD is its potential to help with pain. Evidence shows that cannabinoids may be useful in pain modulation by inhibiting neuronal transmission in pain pathways. A study published in 2012 in the Journal of Experimental Medicine found that Cannabidiol can suppress chronic inflammatory and neuropathic in rodents without causing any analgesic tolerance. Anxiety and depression are among the most common health disorders that can have a terrible effect on one’s health and well-being. Depression is the most significant contributor to disability across the globe, while anxiety disorders are number six according to the World Health Organization [WHO]. Cannabidiol oil has shown promise in treating both depression and anxiety making people who live with these disorders to have an interest in this natural approach. CBD has also shown antidepressant-like effects in multiple animal studies. Acne is a prevalent skin condition which affects more than 9% of the population. Acne can be caused by genetics, bacteria, and the overproduction of sebum, an oily secretion made by sebaceous glands in the skin. CBD is being studied to treat acne because of its anti-inflammatory properties and ability to reduce the production of sebum. It’s not surprising that the medicinal cannabis industry is sprouting and growing fast. People are looking to boost their health and wellness, but it may be quite confusing which brand and what strength of CBD should be chosen. Choosing the right CBD oil depends also on the medical condition one has and what he’s trying to benefit from. Where does the CBD come from? Manufacturers usually mention where their CBD is sourced from. It’s important to get all the information about the way it’s grown, which strains are being used, whether its grown using organic farming or not, how the process is being done, etc. VITALIBIS for instance, is one example of a company that provides such details and information to their customers. Should you use capsules (CBD capsules) or dropper bottles (tinctures)? It depends on the concentration and dosage. If you’re reading this, you’re probably a new consumer, so it’s better to start gradually with a low dosage. The amounts would appear in mg, such as 250mg, 500mg and 1,000mg, or it will be specified as percentages instead – 4%, 10%, or 20%. CBD isolate or Full-spectrum oil? Manufacturers would usually state in their product page, which type of oil it is. Both types have benefits. The pure CBD isolated oil is considered the standard for research, but the full spectrum CBD would include many other nutrients and all the cannabinoids the plant has to offer. Research done in 2015 by the Hadassah Medical School at the Hebrew University of Jerusalem it was found that the full-spectrum oil was more effective medically wise, than the isolated one. Consulting your physician or doctor for finding the right dose, would be also a smart thing to do. That, of course, depends on the problem you’re suffering from. The web is full of information about CBD oils manufacturers and companies. We recommend looking carefully at all the details before buying your CBD oil. Always speak to a doctor or trusted medical professional before you start using CBD.